Modena combines a hotel suite with Italian luxury all within 450 square feet. 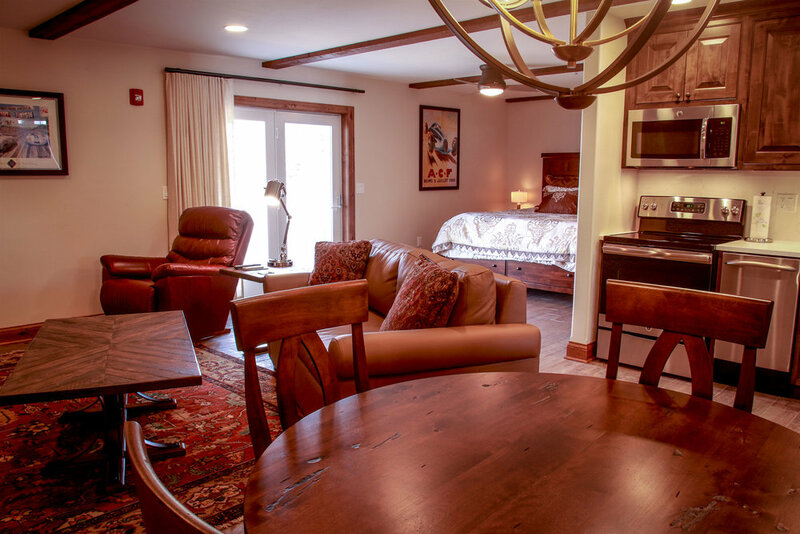 Soft colors and wood accents emphasize the comforts of home and the quality of a five-star hotel. A king bed, large sitting room (with additional queen sleeper sofa), dining table, kitchenette, and spacious bathroom make Modena above and beyond the average hotel suite. Plush king bed, down alternative comforters, pillows, &.sumptuous 400-count Egyptian cotton linens. Kitchenette with everything that is needed for your stay. Dining Area for meals, coffee & conversation, or work space. The plush king bed is front and center for ultimate relaxation. The large leather sofa doubles as extra sleeping space. Beautiful tile and easily accessible oversized shower make up the master bath. 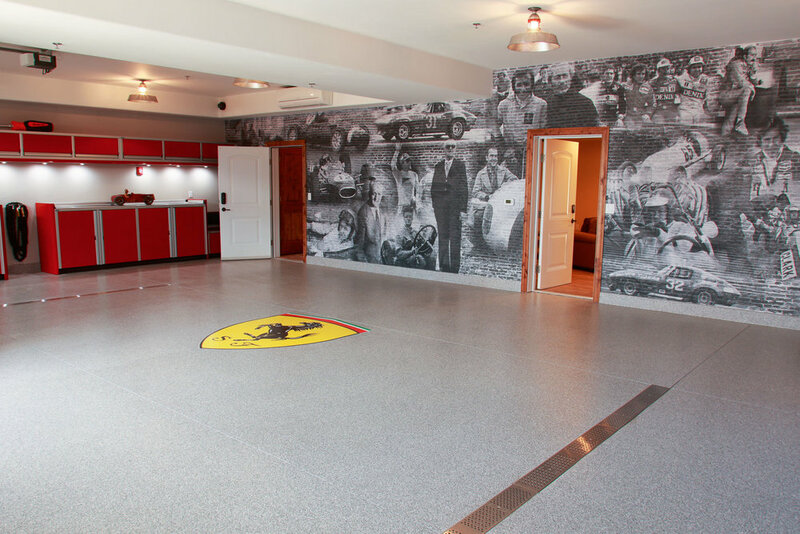 Embrace the privacy of not only the suite, but the showroom-designed garage space.